UCLA researchers have found that an anti-inflammatory drug primarily used in Japan to treat asthma could help people overcome alcoholism. Their study is the first to evaluate the drug, ibudilast, as a treatment for alcoholism. Study participants were given either the drug (20 milligrams for two days and 50 milligrams for the next four) or a placebo for six consecutive days. After about a two-week break, those who took the drug were switched to a placebo for six days, and those who were taking the placebo were given ibudilast. 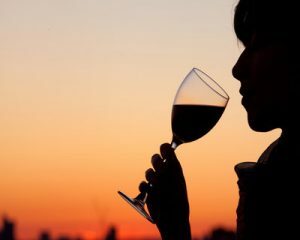 The researchers found that the subjects’ craving for alcohol was significantly lower when they were taking the medication. In addition, the participants’ reactions were measured after they were asked to hold and smell a glass of their preferred alcoholic beverage but not allowed to drink it. The subjects reported being in a better mood while they were taking ibudilast than when they were on the placebo. Side effects from the drug, which included nausea and some abdominal pain, were mild, and none of the participants dropped out of the study. The research is published online by Neuropsychopharmacology, and will appear later in in the journal’s print edition. Researchers also evaluated the drug’s efficacy by looking at how well and how quickly participants could recover from a stressful situation. When the study began, the researchers asked participants to describe sources of stress in their lives. On the fifth day of each phase the study when the participants were taking ibudilast and again when they were taking the placebo researchers discussed those situations with the participants. The subjects’ moods improved much more quickly after hearing about their own stressful situations when they were taking ibudilast than when they received the placebo. The treatment seemed to especially help those in the study who had depressive symptoms, which are common in heavy drinkers of alcohol. The drug appears to reduce the pleasurable effects of alcohol. Chronic alcohol consumption elevates brain inflammation in animals, and earlier research showed that ibudilast was effective in reducing rats’ alcohol consumption. But it wasn’t a foregone conclusion that it would also be effective in humans, Ray said. For one thing, other drugs that have shown promise in rats caused too many negative side effects in humans. That’s a common problem when medications tested on animals are then evaluated for human use; Ray said that many medications that are effective in animal studies ultimately fail to help people — a phenomenon she called the “valley of death” of pharmaceutical development. “We’re excited to see that the strong animal data with ibudilast is now followed by our finding that ibudilast is well-tolerated in humans,” she said. Ray, whose laboratory studies the causes of and possible treatments for drug and alcohol addiction, said testing new treatments for alcoholism is critical because the U.S. Food and Drug Administration has approved only four treatments for alcoholism, and they have been only modestly effective. Although the new study is promising, further clinical trials are needed, said Ray, who is also a member of the UCLA Brain Research Institute. Ibudilast is not currently available as a treatment for alcoholism.